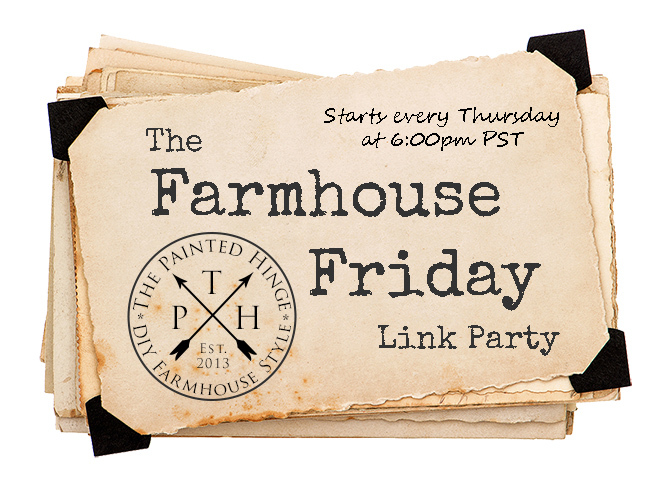 Welcome to The Farmhouse Friday Link Party #78! This week I joined 21 super-talented bloggers in the Fall Porches and Patios Tour hosted by Amber at Follow The Yellow Brick Home! If you haven’t checked out the tours Amber puts together, you are seriously missing out! All the tours she puts together are gorgeous, and this one was no exception. If you want front porch and patio inspiration for fall, you can jump on the tour here: Fall Porch and Patio Tours. Here is my contribution to the tour: A Neutral Farmhouse Fall Porch. Neutral fall colors aren’t your cup of tea? Then check out the rest of the tour – there’s lots and lots of porches with traditional fall colors! I’m also putting together a colorful fall porch just for fun! 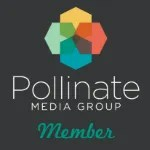 I’ll have it up on the blog next week, so stay tuned! Lee Ann just blew me away with this absolutely gorgeous frame makeover! I LOVE that color! Think pink can’t work in Fall decor? Penny can work her gorgeous pink magic for any season! I can’t wait to see what she comes up with for Christmas! Speaking of non-traditional colors, this gorgeous fall table Angelina put together demonstrates that fall decor doesn’t have to be in traditional colors to be beautiful! And check out those pumpkin cocottes (a covered bowl for soup and stews)! These paddles Sam created for Halloween are as cute as they are easy to make! By linking up, you will get a chance to be featured here at next week’s party! You will also get a chance for your post to be shared on my Facebook group DIY Farmhouse Style, which at this writing has over 324+ thousand members. Thank you Michelle for your 78the Farmhouse Friday – Fall and a Pink Pumpkin. Loved seeing the Fall Porches and Patio Tour photos. Thank you Joy! I’m happy you enjoyed the Fall porch tours! Thank you so much for the feature! Have a wonderful week end…..
You’re very welcome Penny! Have a wonderful week! You’re very welcome Lee Ann! Fun to hop with you this week, Michelle! So much outdoor decor inspiration! Have a great weekend! It was fun hopping with you too Lora! Have a wonderful week!